Award highlights achievements of the municipality in sustainability. 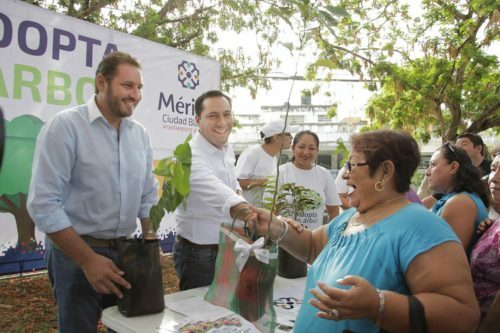 MERIDA — Merida stands out in the country for the actions that its municipal government headed by the mayor Mauricio Vila is taking to face the effects of the climatic change. These advances, realized in a short time, show that it is possible to reach environmental goals very quickly, said Beatriz Bugeda Bernal, director for Hispanoamérica and Mexico from The Climate Reality Project. The Climate Reality Project is an international organization founded in 2006 by Al Gore, former vice president of the United States and Nobel Peace Prize winner; it has 10 official venues in Australia, Indonesia, India, South Africa, Central Europe, Spain, UK, Brazil, Canada and Mexico. The board met with the municipal president Mauricio Vila Dosal and the director of the Sustainable Development Unit, Sayda Rodríguez Gómez, to learn about the actions undertaken by the City of Mérida around one of its axes of government such as Sustainability. “We are pleasantly surprised at all that has been achieved in the city in such a short time,” he said, “after learning that Mérida is the only city in Mexico, together with Guadalajara, to have an inventory of greenhouse gases and progress on the Municipal Green Infrastructure Plan as well as the Public Spaces Management program, and also the installation of the Governing Board of the Municipal Public Organ of Operation and Administration of the Ecological Reserve of Cuxtal, the promotion of the use of the bicycle and other Actions. Merida has already positioned itself as a promoter of environmental care in Mexico and the group he heads up seeks to make alliances with municipal governments and other institutions that have shown interest in strengthening programs around climate change, according to a statement. Mayor Mauricio Vila also remarked their commitment to continue working on the environmental issue and to join the international agenda in the fight against the effects of climate change. Ms. Bugeda Bernal considered that one point in favor of Mérida is that many young people are interested in environmental actions and participate actively, as in the case of the Kybernus Yucatán Collective, who invited her to give a workshop on the subject in this city. She also commented that she had visited Merida on previous occasions and this time she was surprised by the improvements in the Historic Center, the maintenance of the facades of the houses and the cultural atmosphere that is breathed in its streets and museums. In order to meet its objectives, The Climate Reality Project implements four main lines of action: conducting innovative education, awareness and communication campaigns, creating a network for Climate Leaders in Latin America through a virtual platform, Participation and exchange of the Climate Leaders network throughout the Latin American region and the training of new Climate Leaders. During the meeting, Mayor Mauricio Vila commented that Merida was recently included in the Global Compact of Mayors for Climate and Energy, which will allow the city to be one of the Ibero-American cities with better opportunities to receive technical resources, both for renewable energy development projects, as well as local climate and energy plans. He also recalled that Merida, along with Guadalajara, are the only two cities in the country to count on the advice of the World Resources Institute (WRI) to become a low carbon center, by quantifying The main sources of greenhouse gas emissions and the implementation of the Energy Conservation Code for Buildings in Mexico (IECC-México). This means that Mérida will be able to contribute to the achievement of the national targets set forth in the General Law on Climate Change, such as the reduction of 30% of carbon emissions by 2020 and the reduction of 50% of emissions by 2050 in relation to with those issued to the year 2000. She added that the transversal lines of work that the Merida Council has implemented since the beginning of the current administration seek to strengthen sustainability in food, urban development, clean energy generation, sustainable mobility, green areas development, integrated management of waste, environmental education and ecotourism. 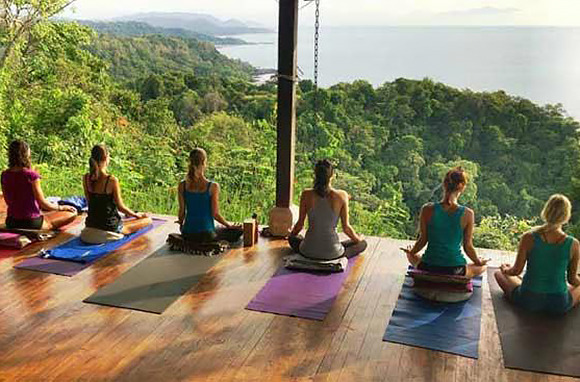 Vila Dosal pointed out that among all the actions carried out in favor of the environment and at the same time to contribute to improve the quality of life and promote citizen coexistence, there is a program to improve parks. 140 parks will be involved and in each of them, in addition to providing decent spaces for the meridians, forest cover is increased from 50 to 80%. He also reported that to encourage the use of renewable energy, the City Council applies the 15% discount on the collection of property tax for homeowners who have solar panels in their homes. He pointed out that the City has this type of energy in the building of the Municipal Palace, as well as in the Wastewater Treatment Plant. As for the Green Infrastructure Plan, he said that since its implementation so far have planted more than 53,000 trees throughout the city. He also said that the Municipal Police has the first four electric vehicles and 12 other electric vehicles for the cleaning and collection of trash in the Historical Center.